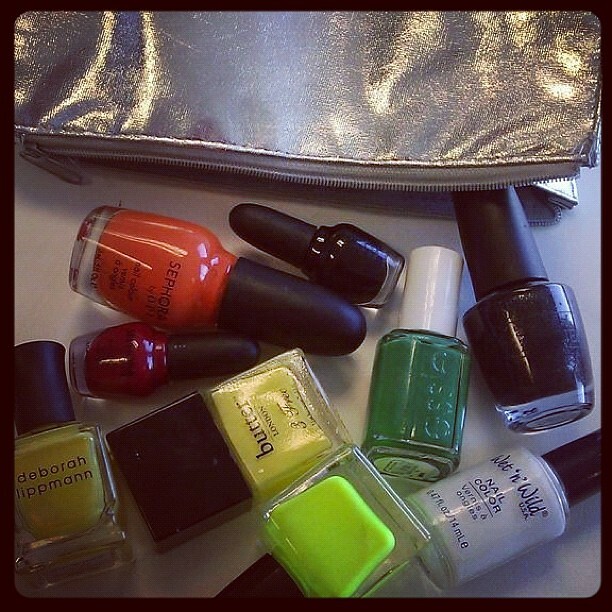 As it turns out, one Halloween manicure isn't enough. I saw so many cool Halloween manicures around the web this week that I had to take all of that inspiration and put it into one mixed prints manicure. 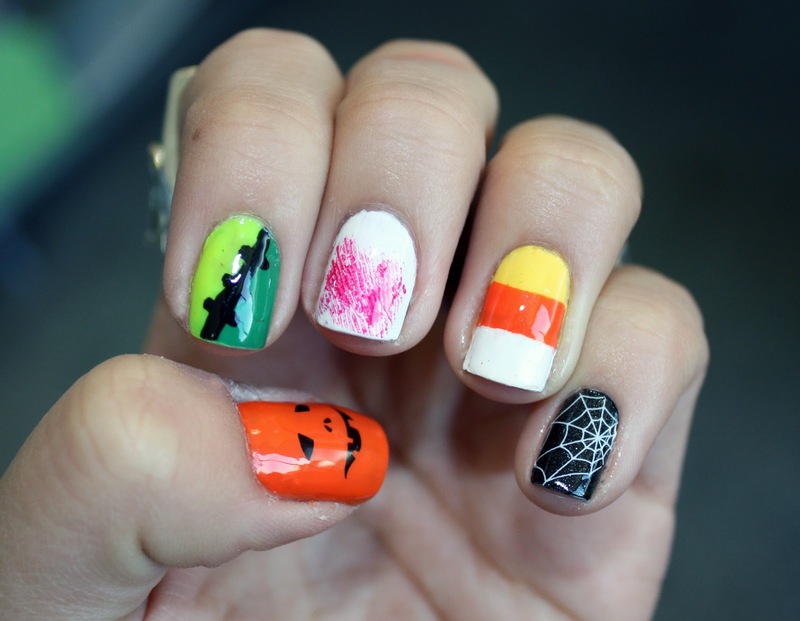 Now I want to know, what is the best Halloween-themed manicure you've seen around the interwebs? Oh my goodness I love the candy corn nail!! The candy corn one is making me hungry! ah-freakin-amazzing! Wish i'd asked to see it in person last night!!! Wow, thanks! Such a compliment! Oh man. This is the greatest manicure I've ever seen. You are being way too nice! Thanks, Melinda! I think that one is cute, too! Thanks so much, Skippy! Honestly, the more you do it, the better you get!